Why do people use nickel plated brass cases over regular brass? I was on another site and saw a guy asking about getting nickel plated brass I was wondering why use it other than looks. Does nickel plated brass offer any benefits? 1. Nickel plated brass when shot will return to almost it's original sizing. Makes for easier extraction. In some cases as with revolvers, the nickel plated brass will fall out from it's own weight by just turning the cylinder with the muzzle up. Ejector rod not necessary. Makes reloading stages a little faster. 3. Nickel plated brass will not hold up to a lot of resizing. It cracks and splits after just a few reloads. As commercial reloader, I expect a loss of about 10 cases per 500 when reloading fired nickel plated brass. 4. I do not recommend nickel plated brass except for belt decorations and a few for those reload stages that have become fewer and fewer. 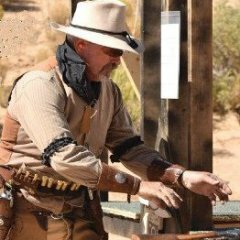 I load brass 38's and nickel 38's the same for Smokeless but sometime I load .357's different and use nickel for the six-shooters and Brass for the Rifle. I use Brass for 45-70 Smokeless and Nickel for Black Powder 45-70's. Keeps it easy to tell which is which. Some people say not to use Nickel plated Brass for black powder cuz the case mouths split easier. Some people say not to use nickel plated Brass in the Rifle cuz the splits can cause hard case extractions. It wouldn't make a difference in the pistols. It looks good, it's easier to find on the ground, and I can tell mine from others at the table when miscellaneous stuff is dumped there for retrieval. It may have downsides - but I like it and that's the only reason I really need. I shoot a .45LC rifle and pistols. The rifle loads are hotter and use a heavier bullet. To help keep those two loads separated the rifle loads are put up in nickel. The rifle throws empties on the ground. Thanks to the nickel, I almost always get all my brass. In fact, I often get a brass case or two back with my shiny ones. When I used brass in the rifle, I often lost cases. Splits versus lost sorta balances out. Have you ever tried to run a 44 mag case through a 44-40 rifle? Thats why I load my 44mags in Nickel. Also, the brass eventually turns green when in contact with leather - like your gun belt or bullet loops. Nickel won't do that. But for our purposes, nope! I've got maybe a 100 nickel plated cases.. I reload them as reload rifle ammo.. Exactly for the above reasoning.. and what Adirondack Jack said.. They sit in my shotgun belt (have 38 loops also on my shotgun belt) for quite a while until I jack out a live round out of my rifle.. I have been using nickel brass for the rifle for 15 years +- due to the MUCH higher return on brass retieval per stage. Many say that nickel brass splits after only a few loadings. With the low pressure loads in CAS, I don't find that to be true at all. I only use 357 brass and I really do like to get a high return on my rifle brass. I find thet where the stages are grassy the nickel shows up much better. When I started accumulating 357 brass, nickel was much easier to acquire. As far as the "sooting" factor, I honestly can't tell the difference between brass and nickel. Nickel plated brass does not split more often than plain brass IF the plating has been done properly and all the plating baths are up to snuff. However...........................my experience with nickel plated brass has been that it has in fact split more often so I do not use it anymore. I still have some nickel plated 38s in the bucket of 38 range brass that I collected over 20 years, so I do load it for informal target shooting. I simply throw away the splits when they happen. But I have pretty much stopped using the nickel plated 45s that I bought as reloads a bunch of years ago. I stopped keeping loaded 45s in belt loops a long time ago because it made my gunbelt so heavy. I use nickel plated brass sometimes becuase when I occasioanlly buy a bag of used brass, or even loaded ammo, some nickeld stuff will be mixed in with the brass stuff. I found a bunch of 38 special nickel brass real cheap, penny a piece, so I bought it. Now what to do with it. Since I load different bullets for revolvers and the rifle I started loading all the nickel brass for revolvers & regular brass for the rifle. Double bonus, wife finds it easier to keep loads separate and I got the benefit of cheap brass. Another benefit I find is that while nickel does split easier than regular brass, doesn't make any difference in the revolvers. Sometimes a real deal comes up for nickeled brass because folks can't sell it, because the market doesn't care much for it. Due to it's tendency to split much faster than unplated brass. So, a reloader gets a cheap deal and shoots it till it splits. It does tend to be a little slicker in the loading dies and in the chambers of rifles. Sticky extraction can sometimes be helped with a nickel case, until it splits and ties up the rifle because that split case is REALLY hard to extract. If you keep your chambers fairly clean, and don't carry ammo in belt loops, there is little reason to want to use nickel. Ammo companies produce police and high-performance defense ammo with nickel cases, because THAT market sometimes has been known to have guns with dirty chambers and ammo carried in belts for a long time before gets fired . What amazes me is that ammo for semi-autos is EVER made with a nickel case. Talk about not understanding the basics of firearms operation. Who carries semi-auto ammo in belt loops? Doh! As for me... I am convinced that the Nickle plated brass is "Cursed". It often hides the cracks... I still have a fair amount of it, and will sometimes load it for use in my handguns, but will not use it in my rifle. Shooting BP subs, and not getting them into a solution right away really plays havoc with my brass... I get more split cases than most folks due to my lazy ways of delaying the cleaning of my fired brass... but with the nickel plated cases, it can be harder to see a split case. For the most part... I just keep it back as a last resort.... kinda like all those Mag Tec Primers I bought... I hope I never need them. I use Starline nickel cases for my BP loads in 44-40 and 45-70. They don't split any more than the brass cases & don't stain like brass. A little dawn & water, agitate in a mayo jar, rinse & lay out to dry and they're ready to go again. The mixed headstamp nickel .38 cases I've been using are splitting; but I have no idea how many times they had been reloaded before I got them. They were cheap enough it doesn't make any difference tome. Has anybody actually done a study to determine if nickel platted brass splits faster than regular brass? I have operated on that assumption, but I haven't actually noticed any significant difference. Maybe my loading procedures are wrong, but most of my brass splitting occurs at the loading table. Only rarely does a case, nickel or brass, split on the line. I won't use the nickel brass. If some finds it way home. I give it away. Had to many splits at the wrong time with it to ever use it again. I came across 1,000 new Remington nickle .45 Colt cases in a package deal. After fewer than 6 reloadings I am down to about 150 that haven't split. Will NOT load it for the rifle. I have brass casings from the 70s that have been reloaded more times than I can count. If it's good enough for the Lone Ranger, It's good enough for me. I have some nickle plated 38's that have been reloaded so many times that the nickle is wearing off. Yep, I've kept numbers for quite a while on .38 special brass (where I get the most nickel from buying brass back at matches). But the tendency to split varies quite a bit by the manufacturer and the lot. Nickel plating is a hard process to get right on brass. Some lots are good, some are bad. But there is more splitting on the best nickel than on the worst unplated, as far as I can tell. In general, life of a nickel-plated .38 special, how I load it, is about 5 loadings. A brass case, about 25. In every hundred brass cases I load from my well used brass, I get about 1 split. In every hundred nickel cases, about 5 splits. Most of the splitting occurs while firing. Only about 5% of the splits come from belling and loading the bullet. But, yeah, I too have a few old nickel cases where the plating has worn off of most of the case, and you have to look twice to see that it originally was plated. Garrison Joe is on track. While I have not done what would be considered a "scientific test," as a shooter who began this game with a bunch of nickel brass, it didn't take anything more than casual observation that the nickel splits easier. It makes perfect sense simply because nickel plating is harder and therefore more brittle than brass. The expansion from firing and compression from sizing takes a toll. Once I realized this, knowing any "brass" that is lost would be from the rifle, I began using nickel in my rifle. At the end of a particular match while cleaning and inspecting my "brass," it became even more abundantly clear that the large majority of "brass" being discarded was nickel. With that said, some will say that I'm crazy for shooting nickel in my rifle. My answer to that is simply that every single piece of my "brass" regardless of color gets inspected by turning the case mouth against a piece of nylon cloth. Even the smallest imperfection (start of a crack) is found. Since I've started inspecting my brass in this fashion a few years back, I have yet to have a problem with a piece sticking in my rifle and for certain none have pushed a bullet into a cracked case and locked up my rifle. If I was buying "brass," I'd buy brass, not nickel...but I have nickel in my belt because it's purdy. Don't know how often they split compared to brass but I do know nickel brass separates in the chamber more often than brass. Over the years folks have brought guns to have separated cases moved from chambers. More often than not it has been nickel brass that separated. DING! DING! DING! In a game of dress up who wouldn't dress up their ammo . . Details me lad - Details . . . It's what separates the wanna be's from the winners . . . . I've gotten at least ten reloads from the first 1000 I bought from Starline, and expect at least that many more . .at some point the whole idea of cost per casing is negligible . . . . I'll order another few thousand once I'm back in the mother land . . . 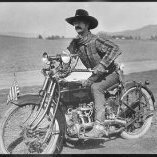 But he rode around in the hard wild west. Wearing a powder blue jump suit. Might have been the real reason for the mask. Now I want about 100 to just try. You must have gotten a good batch. My experience will lead me away from plated brass. I will say that the last 150 have seen fewer splits and been reloaded more often, but they still fail at a noticeably higher rate than non-plated. I keep thinking they'll all split and I can pitch them. I had some nickle plated 38s from before I started CAS, in the beginning I loaded and shot them along with everything else. But then I started noticing far more splits in the nickle than the brass and set them aside for practice in the pistols, or maybe a lost brass match. As I don't practice hardly never, they're still sitting in a box. Just from my own observation, I'll give nickle plated brass a 5 to 1 split ratio over regular brass. I inspect all cases carefully before they even go in the tumbler. Any cases with a split 1/16" (mol) go in the trash. 1/16" or less are relegated to 1 time pistol use only. All good nickle cases I save for use at "lost brass" matches and sidematches. I don't carry but about 2 or 3 extra bullets in my belt loops and those are replaced on a regular basis. I never have cared too much about bling nor do want want to carry the extra weight of 20 bullets around all day. I've also turned down offers to buy 1X fired cases for $.02 per case because they were nickle. Even in these times, I still would refuse to buy them. I use nickel plated brass at lost brass matches, or places that might be suspect of finding it on the ground. Normally I use regular brass. Ifn ya find any pard wantin ta part with onest farred 357 nickel brass for two cents each, give that dude my telrphone number. When I first started reloading (I was in college), I did not have a tumbler. I liked nickel plated brass because it did not tarnish. Some brands of "premium" defensive ammo comes with nickel cases. Someone here asked why nickel cases would be better for autoloaders. One manufacturer touts the nickel cases as being more visible if you have an autopistol with a "port" in the chamber as a loaded chamber indicator (the S&W M&P pistol is an example). I have a rotating supply of mixed headstamp .38 Special brass. It seems like the percentage of nickel plated brass keeps diminishing since the nickel plated cases do tend to split more frequently. I tend to find nickel plated cases that crack along the side of the case, not from the neck down. I used to keep nickel plated cartridges in my gunbelt because they matched the buckle and other hardware. I would rotate them into "inventory" ever so often. Lately I have just left the loops empty rather than carry the extra weight around all day (yes, they are only 105 grain bullets but there's a mess of them on the belt).